It is with a heavy heart that we share with you that Michael Kinney has passed away in his sleep. His indomitable spirit will live on forever in the martial arts community and in the cities where he taught martial arts for so many years. He has touched lives in so many ways for over 50 years and he will never, ever be forgotten. RIP, Sir. In 1963 Michael Kinney began studying Martial Arts in Silver Spring, Maryland, a suburb of Washington DC. 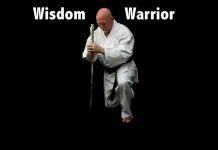 Over his 50 year long career, he mastered technical skills from many different systems and styles including Karate, Ju-Jitsu, Aikido, Arnis, and Judo. His first teacher was legendary Tang Soo Do instructor Grand Master Ki Whang Kim who had started the “Tang Soo Do Karate Association”. Michael Kinney received the first TKA Black Belt from the “Tang Soo Do Karate Association” in 1969 while studying under Dale Tompkins. He was 18 years old. He had already became chief instructor of the “Tang Soo Do Karate Association” in 1965 and continued there until 1980. Grand Master Ki Whang Kim’s innovative school was known at TKA, and was one of the first martial arts schools in the country to teach women and children. By the 1970’s there was 50 schools with over 2,000 students that had been established in suburban Maryland. During the early days of tournament point fighting, Michael Kinney became a well-known competitor on the east coast tournament circuit (1968-1980). He was among the first generation of phenomenally fast kickers that came from the Washington DC area and entered competition as young Black Belts. This elite group of fighter’s were the original martial artists that helped Sport Karate to become a spectator sport in America. From 1970 to 1980, Michael Kinney was the coach and a competitor on one of the first Black Belt teams in tournament competition, the “Tang Soo Do Karate Association Team.” This team took on all challengers and went undefeated for 9 years. Michael Kinney was not just a competitor and coach, but he was also influential in the development of tournament Karate on the east coast by co-promoting one of the first large open style tournaments debuting in 1970, The Eastern Regional Karate Championships. Michael Kinney and his Black Belt team of coaches supported new events as they flourished along the east coast because their students became well trained competitors. Michael Kinney has trained hundreds of national and state ranked competitors who have become competitors for NASKA, ISKA, AAU, PKA, and other sanctioned martial arts circuits for four decades. His Black Belts continue to pass on his legacy from schools across America and Europe. Michael Kinney trained well known sports and entertainment personalities and he taught and worked alongside many of the world’s greatest martial arts Masters. Michael Kinney appeared on the “NBC Today Show,” “Wide World of Sports”, and hundreds’ of other national network television shows. He was featured in Black Belt Magazine, Karate Illustrated, Official Karate, Inside Kung Fu, Who’s Who in the Martial Arts, Professional Karate Magazine, and countless other magazines, books and newspapers. Mr. Kinney hosted one of the first Martial Arts cable television shows, “Kinney Karate World.” This innovative show was produced by “Group W-Visioncable” and had over half a million viewers in the Tampa Bay market. He produced a series of popular videos and instructional DVD’s which have been viewed by over a million people world-wide. Michael Kinney was honored with numerous awards include induction into the “Eastern USA Martial Arts Black Belt Hall of Fame,” “Legends of the Martial Arts,” The “Karate International Magazine “Martial Arts Elite,” The 2013 “Tae Kwon Do Hall of Fame,” The “Martial Arts Hall of Honors, among others, and he was given a national volunteer award by President Obama. 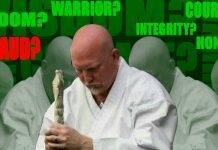 Grand Master Kinney also served on multiple executive advisory committees and is an American representative for many Martial Arts associations around the world. Over the last 5 decades, Michael Kinney taught hundreds of thousands of students, and promoted over 2,000 Black Belts, many who now own and operate martial arts schools throughout the country. Michael Kinney lived in St. Petersburg, Florida where he operated Kinney Karate since 1980. 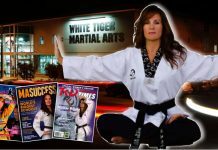 Kinny Karate has 9 locations with over 600 students. Kinney Karate has run a ground breaking program for the city’s recreation department for over 30 years and was instrumental in helping the city win a national “All American City” award for the services it provides for residents. After 50 year’s in the Martial Arts, Michael Kinney earned a reputation as a top notch seminar instructor and as an exemplary leader to the generations of students who knew him, and were touched by his amazing abilities to mentor and teach. 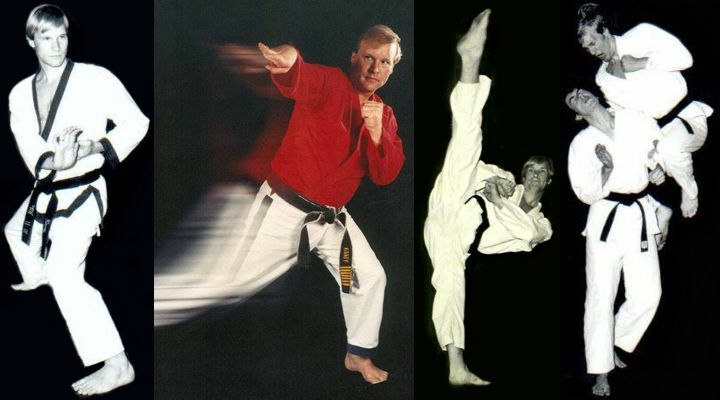 Soke Michael Kinney was born in 1952 and passed away in his sleep on Monday, October 6, 2014. He was 62 years old. A celebration of life event was held at Northwest Community Center in Saint Petersburg, Florida on Sunday, October 19, 2014 at 2:00 pm. It was a potluck and it was open to all who wished to pay their respects and spend time celebrating the life of Soke Michael Kinney.